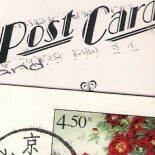 Reproduced from an original Edwardian postcard / Published by Beamish Museum / Printed by Larkfield Printing Co. Ltd. The second postcard from Ann from Beamish, the fantastic open-air museum in Northumberland (you can see the previous one here). This is a reproduction of a Syllikuss comic postcard from the early 1900s. I don’t know anything about Syllikuss but he was a prolific postcard artist… any comments and info gratefully received in the comments section. Syllikuss cards are very distinctive in style and it is interesting that another equally mysterious PC artist Karaktus was putting out similar images circa 1908/9 (see link to relevant page of my web site) for a different publisher. The general art style is similar, the humour is similar, and both did cards relating to current popular tunes. I am wondering if Karaktus and Syllicuss were two different pseudonyms for the same artist. What do others think? 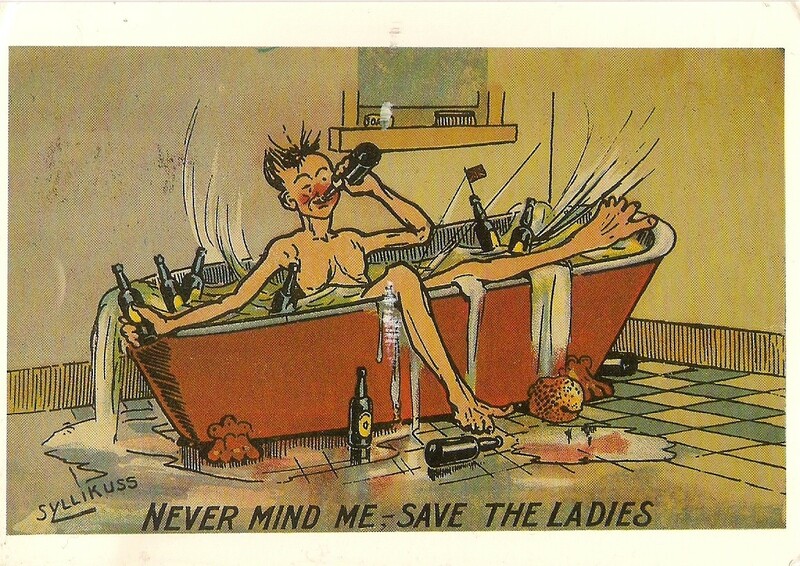 This entry was posted on April 18, 2015 by Craig in British Postcards, Comic postcards, Edwardian postcards, Northumberland postcards and tagged Beamish, comic, deltiology, Edwardian, philately, postcards, stamps, Syllikuss.